Apostolic Revelation: Power Of Brain Vs Power Of God, Which Prevails In Your Life? Power Of Brain Vs Power Of God, Which Prevails In Your Life? 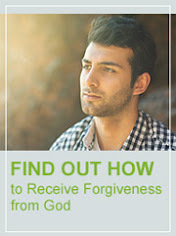 Please Explain How To Move From Self-Motivation To Move In To God's Empowerment? Question : Practically, it is very difficult to keep our 'SELF' in DEATH by FAITH in THE DEATH of LORD JESUS CHRIST. We mostly use the Power of our Muscles and of our Brain in our SELF-BODY, to face any Challenge or a Problem we come across in our day-to-day Life. 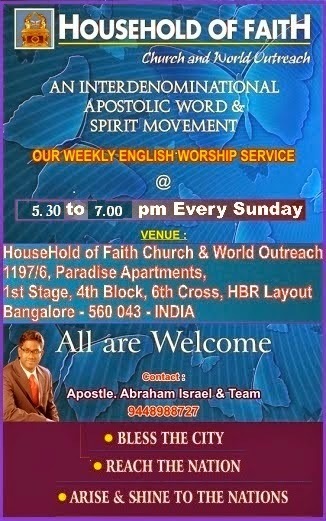 Pl explain how to tackle these type of Self motivated activities, Apostle. Answer : You are right, it might seem difficult to keep our self in death by our faith in the death of our Lord Jesus who is our substitute for us, but faith is like a spark that increases the fire and make it aflame as we keep trying to spark it up often. Once our faith becomes ablaze by the power of the Holy Spirit, then it spreads and fills our entire being with more and more power of the Holy Spirit. Faith will keep coming as we keep the word of God inside us, and always God quickens that Word to speak to our spirit within us. When God speaks and we hear it all things positively will happen, that is with self too, it dies when God starts to speak a personal a word within the word to us and it will work supernaturally within us. This God's heavenly fire power that comes in to our entire being through faith will lift us up above self motivation to God's empowerment of a victorious life over self. A fight is needed to increase in spiritual strength and for maintaining the Quality of our Inner Man and also value our Relationship with God. So by Divine providence the death to self doesn't happen in our lives in a day or two or even a year, but it takes a life time of fight in this side of eternity to forever be established in that side of eternity in our afterlife. So we patiently grow from faith to faith day by day, month by month, year by year...until the end of our life (Rom 1:17), and we receive the power of God's grace upon grace day by day, month by month, year by year...until the end of our life (John 1:16) and finally we shine forth and are transformed in to the same image of the glory of the Lord from glory to glory day by day, month by month, year by year...until the end of our life (Rom 12:2). We cannot bring self to death without God, God will not do it without us. In partnership with God to go through the process together day by day, month by month, year by year...until the end of our life, we can keep self and sin at bay to reveal the power of heaven perfectly for the Glory of God (Mark 10:27; Rom 8:3-4). Say it out loud, 'I am dead to sin and self, because Christ died for me to bring it to an end and put a full stop to both of it forever.' This faith is victory, so die daily!